Your Guide to the Butler Institute of American Art - Ohio. Find It Here. Growing up in Youngstown, I enjoyed going to the Butler Institute of American Art. We always had the obligatory field trip there, my brother and I performed in the big atrium, and it was the perfect break from a day doing research at the main library or the adjacent Maag Library on the campus of Youngstown State University. But the truth is, I didn’t really appreciate it until I left. One day many years later, I was at an art gallery in Northwest Ohio and was asked where I was from (apparently, my Pittsburgh accent sticks out – and is hard to place once you get west of about Akron). When I said Youngstown, the person I was talking to positively rhapsodized about the Butler. Truth is, when you grow up around it, you kind of think that every city has a world-class collection of American art. 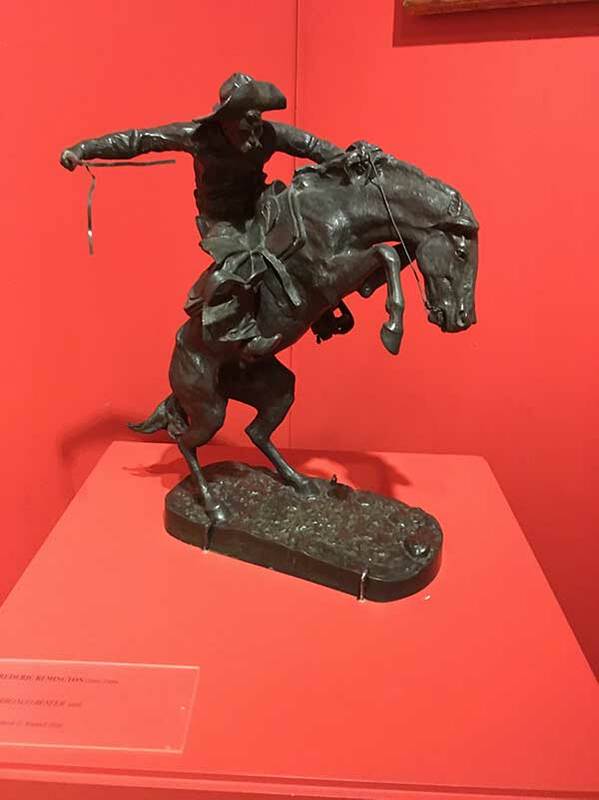 One of Butler’s passions was western art, be it paintings of Native Americans or works by artists like Albert Bierstadt and Frederic Remington. Today, the Butler now owns the church next door, which has come full circle with its displays of folk art, including hand-painted signs, duck decoys and carousel horses. The museum’s collection has grown exponentially, and it’s safe to say that everyone who’s anyone in American art has been represented with an exhibit or has a work as part of the collection. There’s a set of pictures on display of various historical moments in the museum’s history, and one shows artist Edward Hopper – whose “Pennsylvania Coal Town” remains on display at the Butler. He was even a judge for the museum’s annual Midyear Exhibition (this year’s will be May 26-July 28). 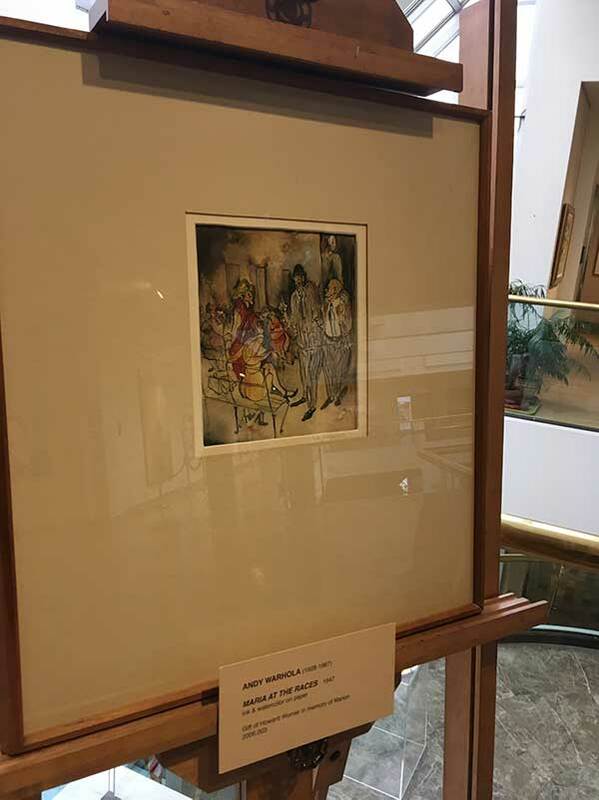 You’ll also find works from some artists made before they were famous – including a watercolor by a Carnegie Mellon student named Andrew Warhola, who moved to New York, and became famous as Andy Warhol. The Butler also has works from people who might be less likely thought of as artists, including Tony Bennett (who’s there under his real name, Anthony Bennedetto) and actress Kim Novak. 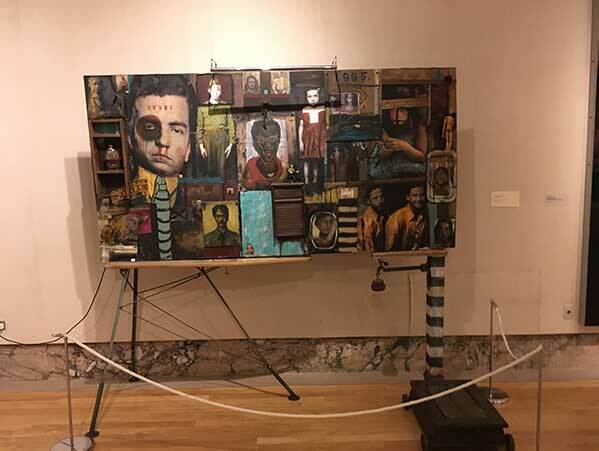 Last year, the museum hosted an exhibit by singer John Mellencamp, and one of his works remains on display. An added bonus – the museum’s not far from downtown Youngstown, a hub of recreational activity. I stopped for lunch beforehand at the Kitchen Post, a restaurant in Erie Terminal Place, a former railroad station that’s been turned into an apartment building with the ground floor used for bars and restaurants. 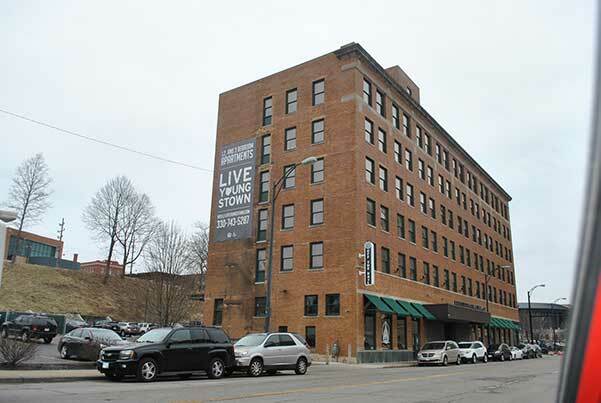 In another instance of creative reuse, the Stambaugh Building has been transformed into a Hilton Doubletree (the restaurant there is also worth your time). The Stambaugh building originally housed the offices of Youngstown Sheet and Tube, a local steel company founded by multiple investors including Butler. It’s a worthy homage to him as well, but his monument remains the art museum that bears his name. For more excitement and sights, Find It Here. at Ohio.org.